After spending nearly two years on the Pacific coast of Mexico with our sailboat, Groovy, we realized we had done very little REAL Mexico travel. So we ventured inland in southern Mexico during 2012-13. We left Groovy behind in anchorages and at marinas in Huatulco and Marina Chiapas (to see Southern Mexico) and Zihuatanejo and in Puerto Vallarta (to see Central Mexico). 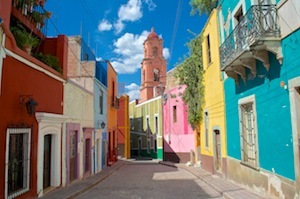 On these inland trips we discovered vibrant Spanish colonial cities that were full of color and life. Better yet, we found it easy to visit lots of thousand-year-old ruins dating from the days when the Zapotecs and Mayans ruled the land. Where is Everything and How do you Get There? and the hot spots inland. 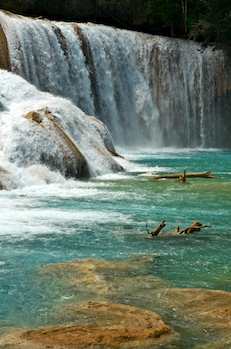 Marina Chiapas Inland Travel Notes – Visit Mexico’s incredible Mayan ruins and see the country’s most beautiful state. What was the Best Place? It’s all fabulous, and hopefully future cruisers will see even more than we have. However, for those in a hurry, our favorite ancient ruins were at Palenque and Yaxchilan & Bonampak (map further down this page). 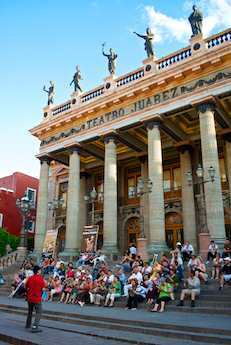 Our favorite colonial cities were Guanajuato and Oaxaca (see map below). It is easy to get to and from the coast in Central Mexico. 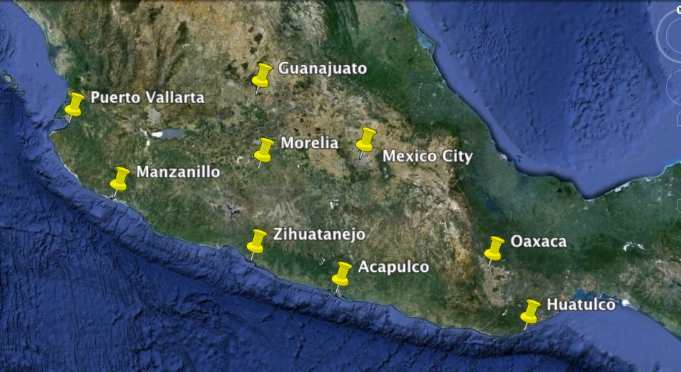 We chose to go inland to Central Mexico from Puerto Vallarta and Zihuatanejo. Places we visited while Groovy was at Paradise Village Marina in Puerto Vallarta. If you make only one off-the-boat inland journey to a colonial city, this is the one to do. Flashback – Meeting Toller Cranston in Mexico 01/29/15 While visiting Guanajuato we met maverick skater & artist Toller Cranston at his home in San Miguel de Allende, Mexico. Places we visited while Groovy was anchored off Las Gatas Beach in Zihuatanejo. An alternative is to leave the boat at Marina Ixtapa. Morelia is a beautiful colonial city and it is lovely to see the millions of migrating monarch butterflies in the ponderosa pine forests of the inland mountains. 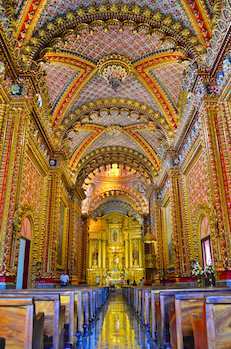 Morelia Mexico’s Magnificent Cathedral & Aqueduct – Awe-inspiring! February 27, 2013A whirlwind tour of Morelia, a UNESCO World Heritage Site, blew us away with its gorgeous cathedral, churches and antique aqueduct. 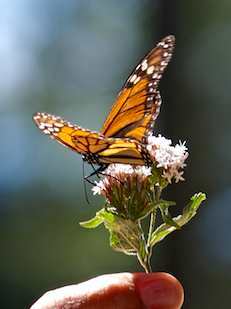 Monarch Butterfly Migration at El Rosario – A Fabulous Daytrip!! March 2, 2013High in the Michoacán mountains near Morelia, Mexico, we hiked into the forest at El Rosario to see millions of monarch butterflies. Pátzcuaro – A “Magical City” with a colorful outdoor market March 5, 2013With Groovy safe at anchor in Zihuatanejo, we explored Pátzcuaro, a “Magical City” in Mexico with a vibrant outdoor market. west coast sailors headed inland in Southern Mexico. 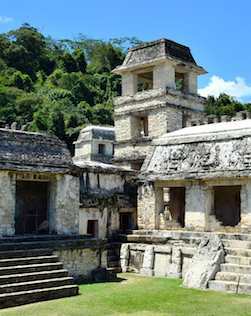 Places we visited while Groovy was at Huatulco’s Marina Chahué: An inland jaunt to Oaxaca gives you both a fantastic colonial city experience AND some wonderful ancient Zapotec pyramid ruins. Oaxaca – Quirky, Fun, and lots of Gold Leaf February 12, 2012Energetic and artsy, Oaxaca, has a fabulous gold leaf trimmed 16th century cathedral & a huge town square full of activity. Oaxaca – A City of Vibrance, Color & Soul February 18, 2012Oaxaca, a UNESCO World Heritage Site, treated us to all kinds of action and fun: concerts, parades, and a golden cathedral wedding! 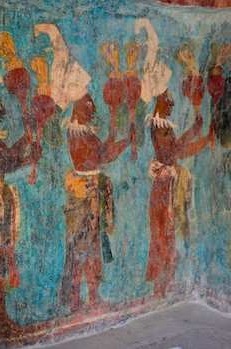 Oaxaca’s Monte Alban – Mysterious Ancient Zapotec Ruins February 24, 2012The Zapotec ruins of Monte Alban are mysterious and alluring, and the beautiful Oaxaca Cultural Center houses Mixtec relics. 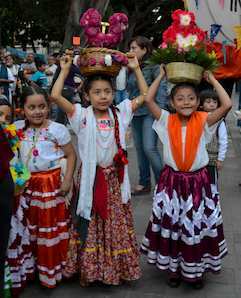 Oaxaca’s “Mitla Tour” – Ancient Zapotec Ruins & More! February 28, 2012On Oaxaca’s outskirts, we visited the 2,000 year old Zapotec ruins at Mitla, saw petrified waterfalls and met traditional weavers. Huatulco’s Hagia Sofia (1) – Exotic fruits and tropical flowers in a lush garden oasis December 2, 2012November, 2012 – Hagia Sofia is a lush 350 acre garden oasis filled with exotic fruit trees and stunning tropical flowers. Huatulco’s Hagia Sofia (2) – Hammocks, hills, waterfalls and a Oaxacan feast December 11, 2012November, 2012 – After trekking through orchards and waterfalls at Hagia Sofia, we were treated to a Oaxacan feast. Places we saw while Groovy was at Marina Chiapas (also known as Puerto Chiapas and Puerto Madero near Tapachula). 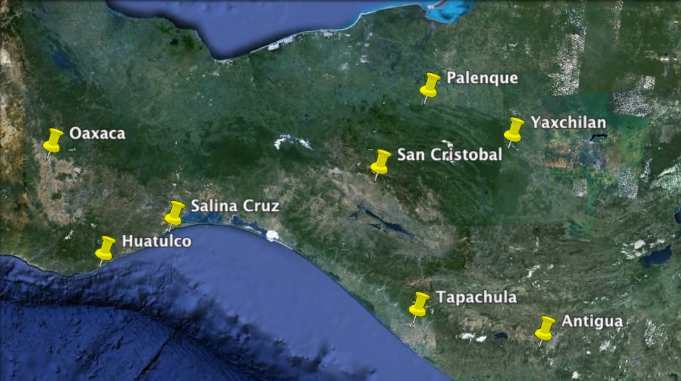 These places can be reached from Huatulco too and are worth every effort to get to. The Mayan ruins at Palenque, Yaxchilan and Bonampak are absolutely mind boggling. If you are considering cruising Mexico’s Pacific coast and/or Sea of Cortez, have a look at our Mexico Cruising Guide and Insider’s Guide to Cruising Mexico as well as our Life in Mexico page of light-hearted posts about what it is like to live here. To follow our sailing travels chronologically, see Our Cruise (cruising links only) or the Route page (cruising and RVing).